Nvidia has unleashed a new beast today called the Titan RTX. The company is already touting it to be the world’s most powerful desktop GPU. According to Nvidia, the Titan RTX is their greatest leap since the invention of the CUDA GPU in 2006, and is based on the GeForce RTX platform unveiled earlier this year. 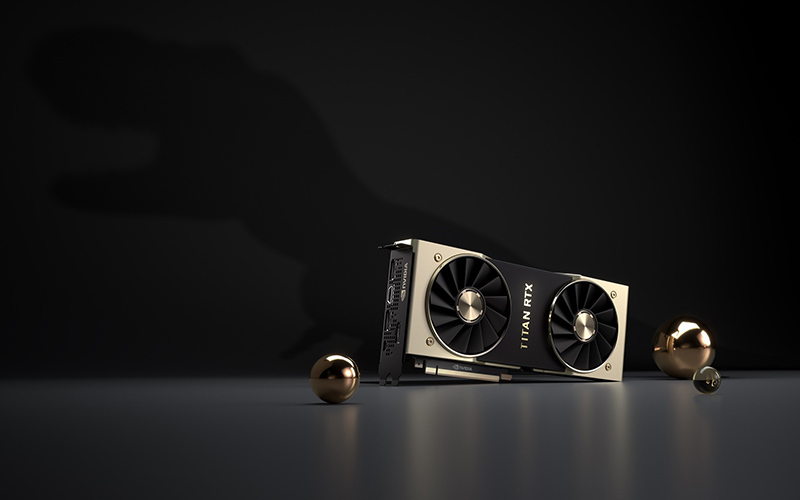 Dubbed T-Rex, the Titan RTX is based on the same Turing architecture as the recently launched 2070, 2080, and the 2080 Ti. It delivers 130 teraflops of deep learning performance and 11 GigaRays of ray-tracing performance. For those of you who don’t know, ray-tracing is a rendering technique that traces the path of light that’s illuminating the entire scene. It’s pretty awesome, and you can learn everything about it here. Coming to the specs, the Nvidia Titan RTX offers 72 Turing RT cores and 24GB of high-speed GDDR6 memory with 672GB/s of bandwidth. It has twice the memory of previous-generation TITAN GPUs. In fact, it even makes the RTX 2080 Ti’s 68 RT cores and 11GB of GDDR6 memory look feeble. The Titan RTX also offers 576 multi-precision Turing Tensor Cores, providing up to 130 teraflops of deep learning performance. So, it is safe to say that this GPU is aimed at AI researchers and data scientists, rather than gamers. The Titan RTX is also proven to be perfect for data scientists as it accelerates data analytics with NVIDIA RAPIDS. 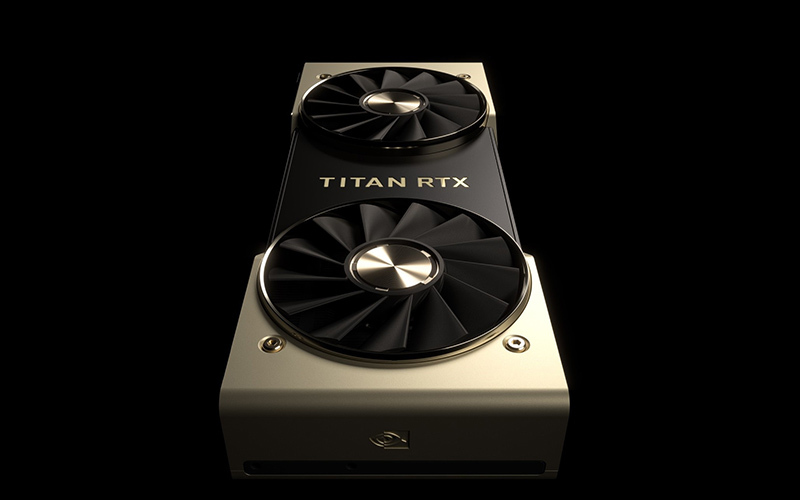 The Nvidia Titan RTX will be available in Europe and the US later this month for a price of $2,499, which roughly translates to about 2,203 euros.